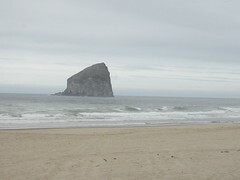 Yes, the wife and I have been tracking your trip down the Oregon coast. So we are up on your activities. As she was reading your blog the other day all I could think was "How much time is this going to cost me in the church parking lot?" now that our wives will have more to talk about.